This is a peel for sensitive skin type (including ethnic skin) or those allergic to hydroquinone. This peel will help unclog pores, eliminate acne and rejuvenate the skin. This formula is for those who want even skin tone and have no sensitivity to hydroquinone. It will help to correct melasma, sun damage and pigment discolorations of many kinds. PCA peel with H/Q exfoliating treatment can also be used to treat the neck and chest for sun damage. This peel is the most potent version of the PCA Peel exfoliating treatments. It is a deeper peel that will provide more exfoliating for oiler, thicker, resilient skin types. It is for extremely sun damaged thickened skin. Sensi Peel exfoliating treatment was originally formulated primarily for Asian skin as well as all other extremely sensitive skin types. 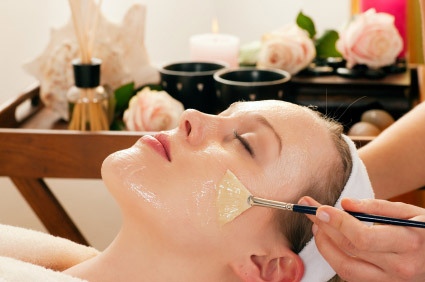 This treatment is appropriate for delicate skin as there is little to no irritation or burning during this treatment. Pumpkin Peel Beta-C Mask Treatment is good for anyone at any age. It is a powerful antioxidant keratolytic treatment that serves as an alternate between other peels and therapeutic treatment.